A separate version of this activity offers 1.00 AMA PRA Category 1 Credit(s)TM. If you would like to complete this activity for AMA PRA Category 1 Credit(s)TM, please click here. This activity is supported by educational funding provided by Teva Pharmaceuticals. Nearly 100 million people in the United States, or roughly one-third of the population, experience some form of chronic pain. Meanwhile, prescription opiate abuse and addiction have reached epidemic proportions in the United States, including the widespread illegal diversion of prescription opioids for street use, which in turn can increase the rates of abuse of illegal narcotics. Some clinicians have also prescribed opioids without adequate training surrounding their abuse potential. Many primary-care providers have recently become reluctant to prescribe opioid pain relievers in the context of current public health concerns surrounding addiction, which leads to some chronic pain patients now going without any appropriate treatment. The development of new clinical practice guidelines from the Centers for Disease Control and Prevention (CDC) regarding prescription opioids presents both a challenge and an opportunity for clinicians to offer safer and more effective management of pain. Meanwhile, the development of new opioid therapeutic options that employ abuse-deterrent technology may help reduce the illegal diversion of prescription opiates for street use. This activity educates physicians, pharmacists, and other allied-health personnel on the latest CDC guidelines surrounding prescription opioids as well as the latest epidemiological data surrounding addiction management and treatment. Multiple expert physicians trained in pain management as well as addiction management will discuss current best practices in both disciplines, while academic pharmacists will explain mechanisms of action, potential side effects, and regulatory issues surrounding prescription opioid medications, including novel therapies that employ abuse-deterrent technology. This educational activity is designed for clinicians involved in the care and treatment of patients with chronic pain, as well as pain patients who may be at risk for substance abuse. Dr. Jiang has nothing to disclose. Dr. Lee has nothing to disclose. Dr. Tennant has nothing to disclose. The Academy for Continued Healthcare Learning is accredited by the Accreditation Council for Pharmacy Education as a provider of continuing pharmacy education. This activity has been approved for 1.00 contact hour. 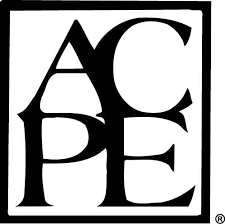 Note: CPE credit will be submitted to CPE Monitor® on the first day of each month. This activity will take 60 minutes to complete. To obtain credit, a score of 60% or better on the post-test is required. This activity is offered at no cost to participants. Please proceed with the activity until you have successfully completed this program, completed the post-test and evaluation, and have received a digital copy of your credit certificate. Your online certificate will be saved on myCME within your Profile/CME History, which you can access at any time.